You’ve heard of Marx and Engels. They might have been briefly mentioned and then dismissed in your high school English or history class. Something about capitalism, revolution, “proletariat,” and “bourgeoisie” – whatever those mean. But what were Marx and Engels’ real ideas? Are they relevant today, more than a hundred years after these thinkers’ deaths? I will argue that they are and that there’s no better way to get a crash course in social history and activism than by reading the Manifesto. The Manifesto was written at a key point in history. Shortly after its publication, a wave of revolution broke out across Europe that challenged the very basis of class society. Though these conflicts did not yield lasting socialist states, they marked the arrival of a new political force: the industrial working class. In the 1840s, Marx and Engels foresaw this with far greater accuracy than their peers. Their combined study of philosophy and of the human degradation of industrialism in Manchester, England – as well as their unique vantage point at the crossroads between feudalism and capitalism – allowed them to identify the fundamental dynamics of human history. “The history of all hitherto existing society is the history of class struggles.” The opening line of the Manifesto sounds bold not only because its authors were encouraging the oppressed to take action, but also because Marx and Engels knew they had made a major discovery – on par with those of Copernicus, Newton, Freud, or Einstein. The Manifesto is the most succinct expression of historical materialism: the idea that, since the creation of surplus, human societies have consisted of clearly defined groups with different relations to productive property: slaveholder and slave, landlord and peasant, capitalist and worker. Though the ruling groups often say they’re acting in everyone’s interests, they really only act in their own; oppressed groups have opposite interests, and the push and pull between these forces – mediated by technology and culture – is what drives societies forward. The Manifesto lays out the tenets of this monumental theory, but it is also a guide to action. By uncovering the deep rhythms of history, it equips readers with a framework for understanding day-to-day struggles over wages, housing, health care, and police brutality. And, although it’s taken longer than this text from 1848 might have led you to think, the pathway to a post-capitalist society is by no means closed off. 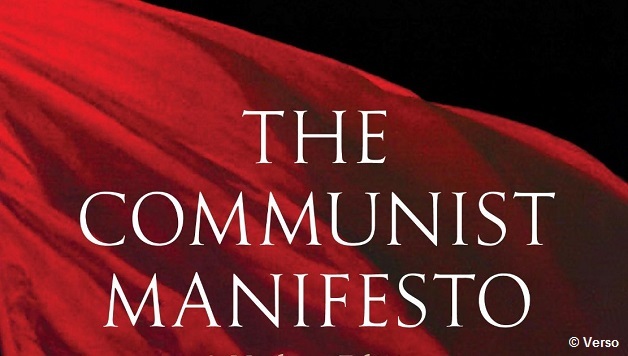 Passages predicting globalization, decline of workers’ living standards, and even such formations as “petit-bourgeois socialism” make the Manifesto as relevant today as it was when written.